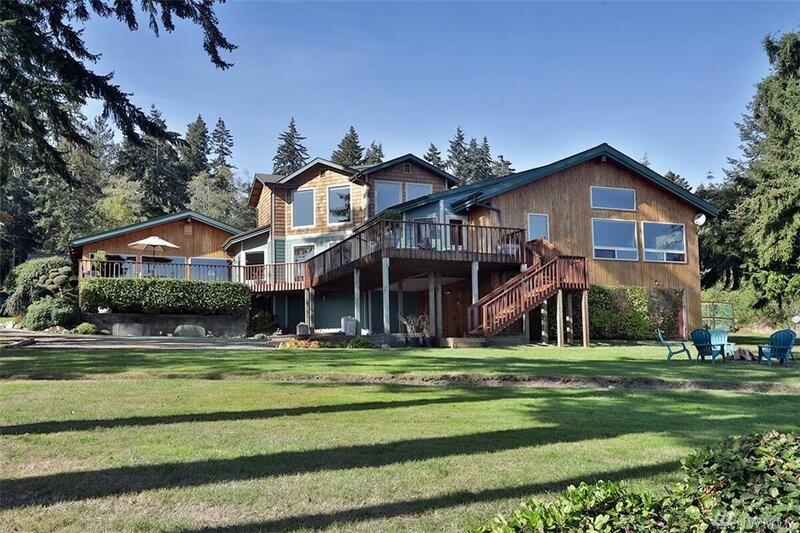 Lovely NW contemporary on 7.5 level acres with 260 ft of high bank waterfront w/tidelands & private stairs to beach. 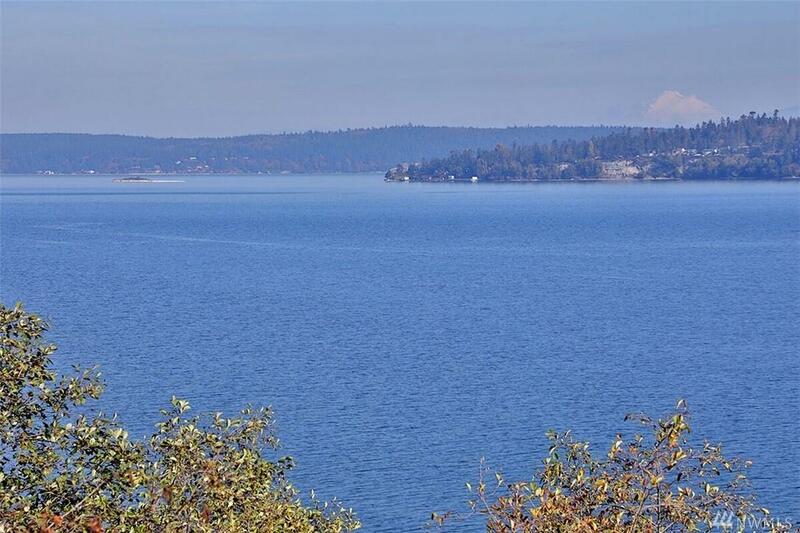 Room for moorage/buoy. 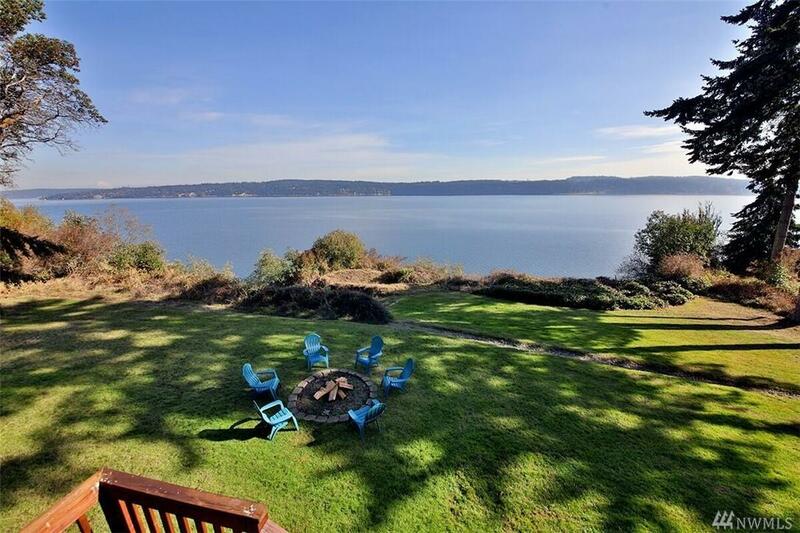 1,500 sq ft of decking to enjoy incredible views. Remodeled in 2006. So many special features incl. 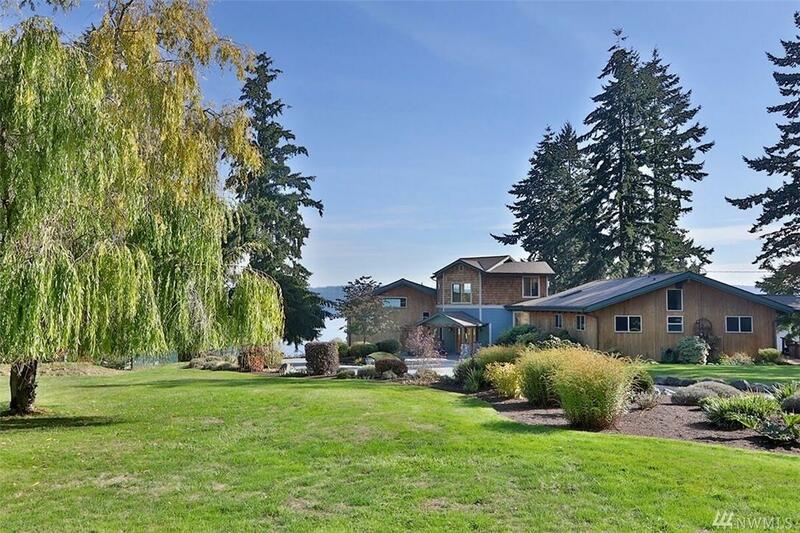 wine cellar, art walk hallway, oversized 2-car garage w/incredible storage, fully fenced garden, outbuildings, generator. Great setup for mother-in-law/guest quarters at opposite end of house. Tons of potential for your personal estate. Welcome home!